Let us begin with one of my all time favourite cities in Europe that is still somehow flying under the radar; Lisbon. If you like colour, a vibrant culture, friendly locals and a great food scene, then there is no way you will not enjoy Lisbon. 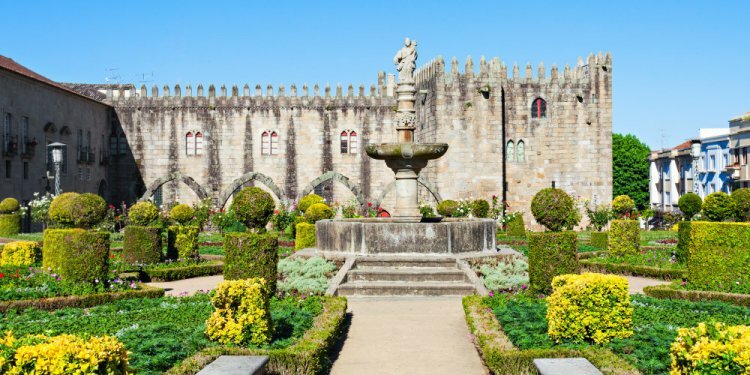 Although not the cheapest city out of this list, Lisbon deserves the top spot as it somehow manages to keep visitation numbers lower than it deserves (perhaps due to its’ remote location in comparison to the typical Euro trip route). Thus you can have a really genuine experience in Lisbon, which is if you ask me, one of the coolest cities in the world. Now for another one of my favourite hidden gems in Europe – which is the entire country of Bosnia & Herzegovina itself, but you will likely start your journey in the capital; Sarajevo. Bosnia & Herzegovina has struggled in the past, but is slowly on the road to recovery and offers travellers who are willing to go out of the way in the Balkans a unique experience. Thanks to its’ unique location the whole country is relatively little-known to travellers in Europe, making in an absolute gem. The easiest way to arrive is by plane into Sarajevo or by bus from Dubrovnik (Croatia), and starting your journey near the border in Mostar. So long as you steer clear of the tourist traps along the river and check yourself in to a local apartment or Air Bnb, then Budapest is another great city in Europe to visit on a budget. This city has so much to see and do that I would recommend visiting for no less than 3 days, even up to a week! It is also incredibly accessible (often combined with Prague and Vienna), and provides a nice gateway into Romania (I took the overnight train into Brasov). With that said, one of the cheapest cities in Europe is indeed located in Romania – that being the capital, Bucharest! This city tends to get a “love it or hate it” approval or otherwise, but if you’re just looking for cheap and are happy to go out of your way to get there, this is another one of Europe’s cheapest cities, located in the East. This wouldn’t be a complete list without mentioning my former home (for just a couple of months, mind you! ); Berlin. I absolutely adore Berlin and for that reason alone chose to move there for a couple of months in 2014 to trial it as a city to become an expat in. One thing lead to another and I wound up back in Australia as my base, but I truly loved my time in Berlin! Accommodation is reasonable, food is VERY cheap, and the young people have a strong sense of community, making this one of Europe’s most enjoyable cities. Kiev is the cheapest city in all of Europe to visit in 2016, so what are you waiting for!? I visited Kiev way back when I was a teenager, to visit my cousin who was living in a small village outside of the city. It was incredible experience and completely unlike any other city I had been to in Europe at the time and still to this day I would say I’ve never been anywhere in Europe quite as chaotically intriguing as Kiev. Be sure to stay a while to dig beneath the surface as you’ll soon discover this city is a true gem. Another city that faced troublesome years throughout the 1990s was the capital of Serbia; Belgrade. However nowadays the city appears more peaceful than ever and in the spring time can be especially charming (I fondly recall my few days there and it really really surprised me!) The urban centre has great gelato (my fondest memory), a unique al fresco dining scene and some really friendly locals. Best of all, its SUPER cheap! Most travellers in Europe have been to or at least heard of Krakow, which is commonly dubbed the prettiest city in Poland. However should you have more time to explore the country, Warsaw is equally beautiful and impossible charming, as is Wroclaw and many other hidden gems throughout Poland. However Krakow stands out as it has a truly important look into the history of Europe when you visit nearby Auschwitz and Birkenau concentration camps to remember those lost in the Holocaust. Although it was much cheaper throughout the 90’s, Prague is still one of the cheapest cities to visit in Europe and offers an absolutely magical city to visit year round (even in winter at -22 degrees – THAT was a trip I’ll never forget!) The accommodation is forever creeping up in price, but the food is still cheap (and the beer – incredibly cheap) and there are great offerings for things to do. Be sure to visit nearby Cesky Krumlov as it is even cheaper and filled with charm also. There’s a high chance you haven’t heard of Riga, the capital of Latvia located in the North of Europe. Although it isn’t particularly easy to get to, once here the city is incredibly affordable and has a unique location to explore surround countries (I visited on a trip to Russia, stopped over for one night en route to Turkey). The old town is impossibly beautiful and is packed with charm, making this another gem I’m so glad to have uncovered!